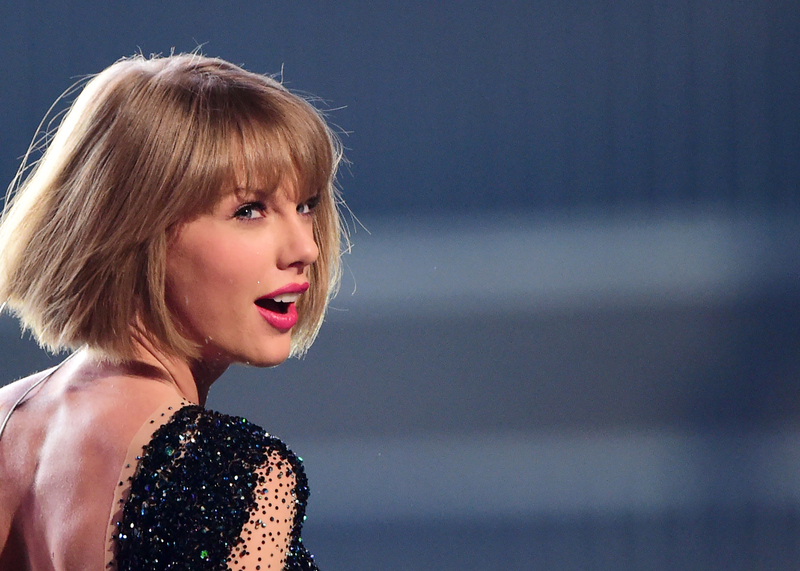 When it comes to breaking it down publicly, Taylor Swift is, as she would say, fearless. You've probably seen her dance her heart out at many awards shows over the years, thanks to all those videos capturing her moves and making impeccable GIF fodder. Now, it seems, she's moved on from simply being an awards show dancer, with her moves being extended to the club scene. Over the weekend, Swift was seen dancing at boyfriend Calvin Harris' DJ set, and honestly, it puts every other awards show jam out sesh to shame. Entertainment Tonight reported that the show took place at Caesar Palace's Omnia Night Club, and that the "26-year-old singer partied in Harris' DJ booth along with her brother, Austin Swift, BFF, supermodel Karlie Kloss, and members of the band Haim." So, yeah, this was a dance party and a half. It's not to say that Swift's previous dancing escapades weren't completely endearing and also totally entertaining, because they were — it's just that, somehow, she's gotten even more into the music than she has been previously, and it probably has everything to do with who is delivering those catchy tunes to her ears (hello, #Tayvin). Don't get me wrong, she definitely made it work from her seat. But, her true potential is undoubtedly reached when she's free from the constraints of a chair. ... It's nothing like this. This is top notch fun (for everyone). Her Vegas clubbing makes her awards show dancing look like a trial run.